Winnifred S. Huck, the third woman elected to Congress, spent her short House career carrying on the legacy of her father, William E. Mason, as an ardent and articulate pacifist. As the first wife and mother elected to Congress, she vowed to look after the needs of married women and families and to promote world peace. Huck disdained the custom which required new Members of Congress to remain silent and proceeded to offer her opinions on a variety of issues. Her most noteworthy address as a House Member was delivered on January 16, 1923, when she appealed to her colleagues to support a constitutional amendment to hold a direct popular vote for future United States’ involvement in any war requiring the armed forces to be sent overseas. Determined to demonstrate the lack of necessity for war, Huck declared, “In a country where the people control the government there is no opportunity for a war to originate.” One month later, Huck proposed further legislation which would have barred any American trade with or financial concessions to nations that did not permit citizens to participate in referendums on war declarations. Huck continued her antiwar stance by pleading for the release of 62 men imprisoned for what the Woodrow Wilson administration deemed to be seditious speeches and writing during the war.5 Huck also introduced a concurrent resolution declaring the people of the Philippine Islands to be free and independent, and she championed self–government for Cuba and Ireland.6 Critics assailed her legislation as an attack on the executive power to make war and an invitation for foreign aggression, but Huck’s passion for the idea of outlawing war came to fruition later in the decade with the 1928 Kellogg–Briand Pact, which was signed by several nations condemning war as a solution for international controversies. Though out of office, Huck enthusiastically supported the pact. 1“Mason Stirs House” 4 October 1917, New York Times: 12; Leonard Schulp, “Huck, Winnifred Sprague Mason,” American National Biography (ANB) 11 (New York: Oxford University Press, 1999): 402. 2“Mrs. Huck Planning To Work for Peace,” 19 November 1922, Washington Post: 3; Hope Chamberlin, A Minority of Members: Women in the U.S. Congress (New York: Praeger, 1973): 44. 3“Congresswoman Is To Succeed Father,” 9 November 1922, Washington Post: 9; Winnifred Huck, “What Happened to Me in Congress,” July 1923, Woman’s Home Companion: 4; “First Mother in Congress Will Work for World Peace,” 11 May 1922, Christian Science Monitor: 5. 4Schulp, “Huck, Winnifred Sprague Mason,” ANB; David T. Canon et al., Committees in the U.S. Congress, 1789–1946 (Washington, D.C.: Congressional Quarterly Press, 2002); “Mrs. Huck Planning To Work for Peace,” 19 November 1922, Washington Post: 3; “Six Committees Named for ‘Progressive Bloc,’” 30 December 1922, Washington Post: 4; “‘Miss Alice’ and Mrs. Huck Chum and Chat, But Differ at Polls,” 3 December 1922, Washington Post: 18. 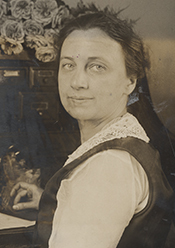 5Office of the Historian, U.S. House of Representatives, Women in Congress,1917–1990 (Washington, D.C.: Government Printing Office, 1991): 109; “Mrs. Huck Pleads for Prisoners,” Christian Science Monitor, 11 December 1922: 2. 6Chamberlin, A Minority of Members: 44; Congressional Record, House, 67th Cong., 4th sess. (16 January 1923): 1828; Congressional Record, House, 67th Cong., 4th sess. (16 February1923): 3817; “Points to Lesson in Irish Struggle,” 1 August 1921, Washington Post: 2; Office of the Historian, U.S. House of Representatives, Women in Congress, 1917–1990: 6. 7Schulp, “Huck, Winnifred Sprague Mason,” ANB: 402. 8Constance Drexel, “Mrs. Huck For Ship Subsidy,” 26 November 1922, Los Angeles Times: 13. 9“Mother, Congresswoman Sends Son to Annapolis,” 24 July 1923, Washington Post: 2; Quoted in Schulp, “Huck, Winnifred Sprague Mason,” ANB. 10Huck, “What Happened to Me in Congress”: 4; “Mrs. Huck Will Not Contest Hull’s Seat,” 4 March 1923, Washington Post: 1; Whitehead, Frank Insco, “Swan Songs, Tributes,” 5 March 1924, Washington Post: 1. 11Schulp, “Huck, Winnifred Sprague Mason,” ANB: 403. Dean, David, and Martha Dean. "Moma Went to Congress and Then to Jail." American History Illustrated 12 (November 1977): 37-43. Huck, Winifred Sprague Mason. "What Happened to Me in Congress." Woman's Home Companion 50 (July 1923): 4. "Winnifred Sprague Mason Huck" in Women in Congress, 1917-2006. Prepared under the direction of the Committee on House Administration by the Office of History & Preservation, U.S. House of Representatives. Washington: Government Printing Office, 2006.